**Although I am disenchanted with posting daily news due to the incessant repetition of ingrained venality and stupidity exhibited in many of the stories, there are some things I am interested in archiving, so I will attempt to collect them here once again since I now have the time. I will try to keep my personal opinions to myself, but if you look at what I post, you can pretty much figure out how I feel. I may also stray from a completely Irish venue, but since we all live on the same planet (at least I think we do), that should be of little concern. --Here is an important story from last month. In 1945, the Irish government issued a blacklist of men who were not to be given government, or local government, jobs. The list – running to 133 pages – included more than 5,000 names from almost every county. These were men of the Irish Defence Forces who, in the language of the civil service, had been 'dismissed for desertion in time of national emergency pursuant to the terms of Emergency Powers (No 362) Order 1945, or of section 13 of the Defence Forces (Temporary Provisions) Act 1946'. What most had done was to absent themselves from their posts as Irish servicemen and travel to Northern Ireland, or Britain, to sign on for the UK forces. In military-legal terms, they were deserters; but they deserted to fight, rather than to avoid fighting, the common perception of desertion. Significantly, the legislation under which the men were dismissed was not enacted until the war in Europe was over. In fact, many of those 'dismissed' were dead, having been killed in action, or died of wounds while serving with UK forces. The introduction of that legislation by Eamon de Valera's government was a surprise to some, who believed that an amnesty was to be introduced for deserters. That was certainly so in the case of 20-year-old Patrick Kehoe, who was arrested in Dundalk in June 1945 and tried by court martial at Collins Barracks in Dublin. Kehoe had been told by his mother that there was to be an amnesty and so felt safe in crossing the border to visit her. He had deserted in 1943 and joined the RAF in order to strike back at Hitler and Germany for the suffering of his English relatives in Luftwaffe raids on Britain. As a flight sergeant in Bomber Command, he took part in 22 operations before being shot down and taken prisoner on March 13, 1945. Patrick Kehoe was liberated in May 1945, as was Patrick Shannon, who had deserted the Defence Forces in 1941, joined the British Army and served in North Africa, Sicily and Italy, before being captured near Florence in 1944. He was also arrested in Dundalk on his way to visit his dying mother. Both were found guilty of desertion, ordered to serve 156 days detention and were discharged dishonourably from the Defence Forces. The detention period was commuted immediately. Interestingly, both men were defended by a Captain Cowan, who told the court that desertion was leaving one's post in time of danger, whereas they had left places of safety for danger. Cowan added that: "In many countries [they] would be considered a hero that deserves honour and reward." As far as the court martials were concerned, they deserved neither honour nor reward. The same applied to all whom the Irish authorities could arrest and even those they could not, including men who had lost their lives. The blacklist shows that most were dismissed on August 8, 1945, but some were not punished until 1946. Although the blacklist could not affect men from Northern Ireland, it had a serious effect on those from what is now the Republic. Not only were government jobs closed to them and pensions denied, but they had to bear the stigma of being branded traitors. And that stigma was not confined to the men themselves. Their families also had to bear it. Children were taunted and wives cold-shouldered. Small wonder that many left Ireland to seek work and, in some cases, new homes across the water. But the contribution those men made by enlisting in the British forces was greater than any they might have made as Irish servicemen. Sean Drumm, who deserted from the Air Corps in 1943, became an air gunner in Bomber Command and survived 32 missions. The longest lasted 11 hours and 35 minutes against a target in eastern Europe. Sean trained as an air gunner at Bishop's Court in Co Down, and his Lancaster was engaged by nightfighters on six occasions and by anti-aircraft fire on many more. Moreover, at the end of a long mission at 18,000-20,000 feet on a cold winter's night, "you were like the Hunchback of Notre Dame; it took you a couple of hours to straighten up". Of his experiences, he said: "To describe it is almost impossible today. "It was like Armageddon. 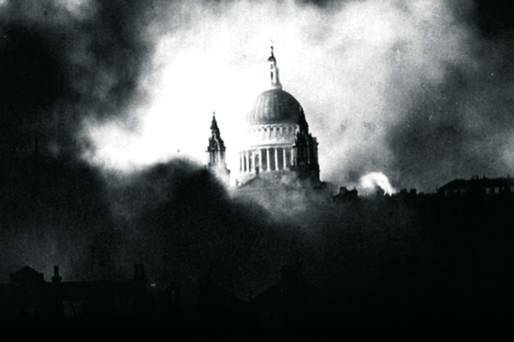 At night, the sky would be lit by massed searchlights and bursting shells, the ground a mass of flashes from falling bomb." Pardons for Sean Drumm, Patrick Kehoe and Patrick Shannon and all the other men whose names are included in that ignoble blacklist may be too late for them. Today, there are few survivors of their number to rejoice. But their families will surely welcome this act of the Irish government, announced by Justice and Defence Minister Alan Shatter. At long last, their native country is showing them the respect they were long ago given by another government and state (and let's not forget that Ireland was then a Commonwealth country). Perhaps the warming of relations between Dublin and London, as well as the work of many individuals over recent decades, has finally brought about this act to reverse a great injustice.